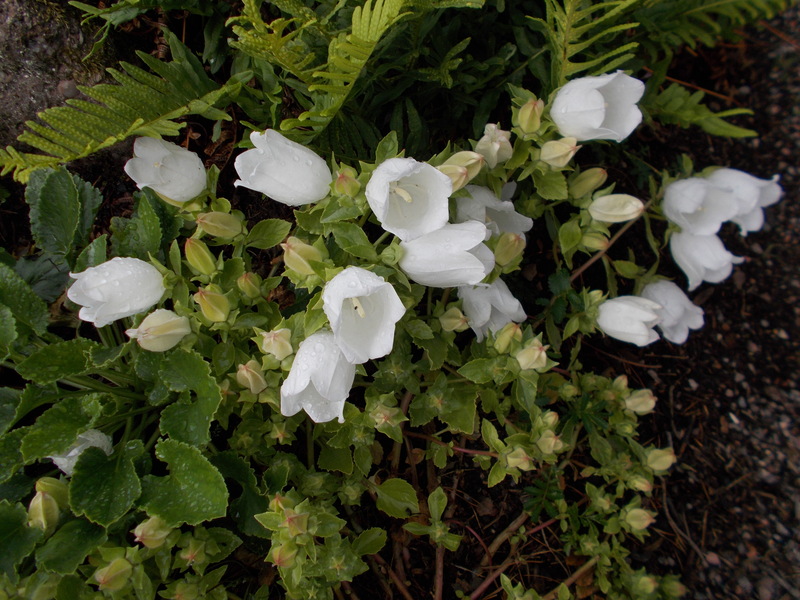 Campanula incurva found growing in the rock garden and producing a mass of large inflated upturned bell shaped white flowers, the texture resembling parchment paper, all from a low growing rosette of vegetation. 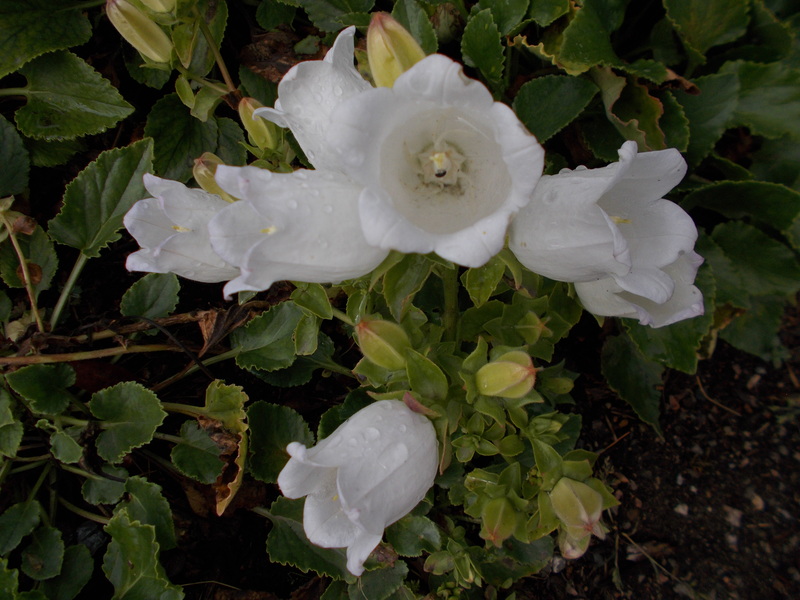 The flowers appear to dwarf the vegetative growth from which they arise to face upwards to the sun. A native to Greece and revelling in this summer heat. It is a short lived plant, possibly monocarpic, dying once seed has been produced. A case for regular and timely dead heading to see if the life span could be extended. The recent rain has disfigured and spoilt the flowers, another reason to keep the plant dead headed.